Classic album from a classic band available once again. In the original packaging and with a card wrap-a-round and a digi tyle packaging. 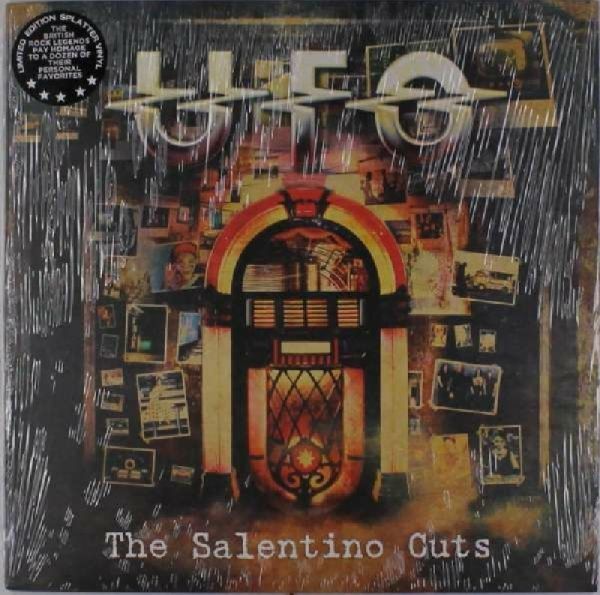 140g, grey double vinyl.UFO appeared on November 29th 1980 at the Westfalenhalle in Dortmund for a legendary Rockpalast-Concert. The second album switzerlands UFO, who are already know as an extraordinary avant-project since years. Mixing ambient, electronica and kraut in a very unique way. 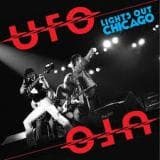 FOURCLASSIC UFO ALBUMS IN ONE PACKAGE! UFO are an English heavy metal and hard rock band that was formed in 1969. Making Contact, Mechanix, Misdemeanor, The Wild, The Willing..
'Live In Texas 21 March 1979'. First release on Krauted Mind's live label Swingin' Pig Records. Limited to 100 handnumbered copies on blue vinyl. Soundboard quality live recordings. Tracks: Side A: 1. Electric Phase 3:07 2. Hot'N'Ready 3:25 3. Pack It Up (And Go) 4:01 4. Out In The Street 5:29. Side B: 1. Cherry 3:56 2. Too Hot To Handle 5:01 3. Love To Love 8:40. Side C: 1. Doctor Doctor 4:59 2. Only You Can Rock Me 4:53 3. Lights Out 6:25. Side D: 1. Let It Roll 5:20 2. Rock Bottom 11.21. 'Live In Texas 21st March 1979'. First release on Krauted Mind's live label Swingin' Pig Records. Limited to 100 handnumbered copies on multi coloured vinyl. Soundboard quality live recordings. Tracks: Side A: 1. Electric Phase 3:07 2. Hot'N'Ready 3:25 3. Pack It Up (And Go) 4:01 4. Out In The Street 5:29. Side B: 1. Cherry 3:56 2. Too Hot To Handle 5:01 3. Love To Love 8:40. Side C: 1. Doctor Doctor 4:59 2. Only You Can Rock Me 4:53 3. Lights Out 6:25. Side D: 1. Let It Roll 5:20 2. Rock Bottom 11.21. 'Live In Texas 21st March 1979'. First release on Krauted Mind's live label Swingin' Pig Records. Limited to 100 handnumbered copies on red vinyl. Soundboard quality live recordings. Tracks: Side A: 1. Electric Phase 3:07 2. Hot'N'Ready 3:25 3. Pack It Up (And Go) 4:01 4. Out In The Street 5:29. Side B: 1. Cherry 3:56 2. Too Hot To Handle 5:01 3. Love To Love 8:40. Side C: 1. Doctor Doctor 4:59 2. Only You Can Rock Me 4:53 3. Lights Out 6:25. Side D: 1. Let It Roll 5:20 2. Rock Bottom 11.21. 'Live In Texas 21st March 1979'. First release on Krauted Mind's live label Swingin' Pig Records. Limited to 100 handnumbered copies on 2 colours vinyl. Soundboard quality live recordings. Tracks: Side A: 1. Electric Phase 3:07 2. Hot'N'Ready 3:25 3. Pack It Up (And Go) 4:01 4. Out In The Street 5:29. Side B: 1. Cherry 3:56 2. Too Hot To Handle 5:01 3. Love To Love 8:40. Side C: 1. Doctor Doctor 4:59 2. Only You Can Rock Me 4:53 3. Lights Out 6:25. Side D: 1. Let It Roll 5:20 2. Rock Bottom 11.21. 'Live In Texas 21st March 1979'. First release on Krauted Mind's live label Swingin' Pig Records. Limited to 100 handnumbered copies on white vinyl. Soundboard quality live recordings. Tracks: Side A: 1. Electric Phase 3:07 2. Hot'N'Ready 3:25 3. Pack It Up (And Go) 4:01 4. Out In The Street 5:29. Side B: 1. Cherry 3:56 2. Too Hot To Handle 5:01 3. Love To Love 8:40. Side C: 1. Doctor Doctor 4:59 2. Only You Can Rock Me 4:53 3. Lights Out 6:25. Side D: 1. Let It Roll 5:20 2. Rock Bottom 11.21. AMAZING 180 GRAM GATEFOLD VINYL REISSUE OF LEGENDARY DOUBLE LIVE ALBUM The original double LP album was recorded in autumn 1978 at shows in Chicago, Illinois and Louisville, Kentucky. This was UFO's last concert recording with guitarist Michael Schenker before the band's reunion in 1993. Strangers In The Night peaked at #8 on the UK charts and #42 on the US charts. Strangers is often listed by critics and fans as one of the best live rock albums of all time. Slash, former guitarist for Guns N' Roses and current guitarist for Velvet Revolver, has previously stated that this is his favorite live album. 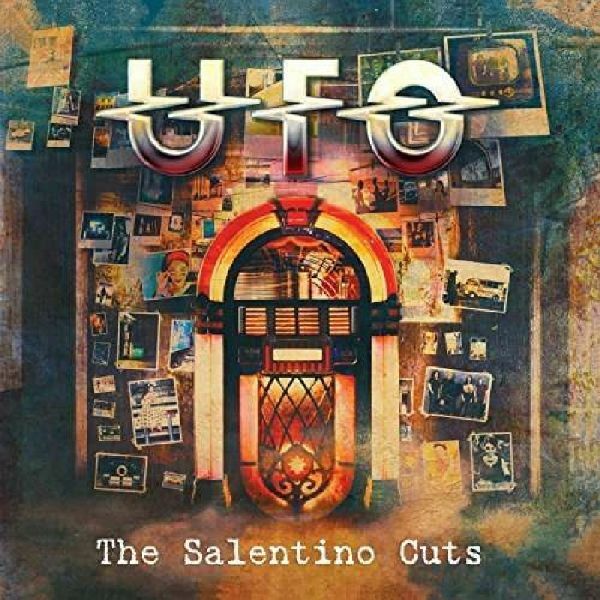 Some of the songs were recorded from a show from UFO's tour with Blue Oyster Cult.